In our recent blog series covering the selection debate of Drupal vs WordPress, we have presented WordPress as an ideal blogging platform and Drupal as an ideal enterprise development platform. The truth is, Drupal can offer the best of both worlds if attention is given to building out the blogging capabilities of your Drupal website. Having a successful blog will allow you to reap many rewards, read on for some top reasons to invest in Drupal as your blogging platform. If you publish a regular blog under the bylines of your top executives, it will give them a name, face, and personality. People are more likely to trust and do business with someone they feel like they've gotten to know through a blog. When you post blogs with the bylines of your CEO, CFO, CIO, and other leaders, it establishes them as go-to industry experts. It's a very easy, manageable way to get them some visibility in the industry, especially in front of potentially important clients and partners. People will feel like they're getting to know them personally, which is far more valuable than spreading their stock photos on ads. Naturally, linking the blogs posted under their bylines to their social media profiles adds a secondary punch. Link to their LinkedIn, Twitter, and other social media feeds for even more (free and very easily received) publicity. Great blogs become the de facto industry publications. While printed magazines and journals are still a thing in some industries (like medicine and science), most other industries (tech, business, finance, retail, marketing, etc.) are gradually moving to online info and away from the standard industry rags. This means that a blog establishes your business as the go-to place for news, information, insights, and opinions in your field. It's a strong tool for industry networking. Want to lure the top talent your industry has to offer? A blog can make you look like a good choice to job seekers, not just your customers and partners. Potential customers and partners aren't the only ones you can reach with a great blog. You can also garner the attention of the industry's best job candidates. When you are well established as an expert in the industry and you're well networked with solid partnerships across the field, your blog also becomes a powerful recruitment tool. All the best talent will be looking for a position with your company. Even without X number of keywords and all of the ins-and-outs that come with SEO these days, search engines algorithms are programmed to look for the most recent and newsworthy content. If your blog is well written, contains valuable and useful information, and is well received on social media, it will also serve to keep your rankings high. Fresh content always ranks better than the old stuff, and it sure beats rewriting your website content every few months. 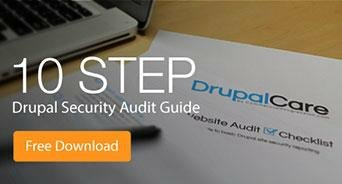 Don't start your Drupal website project without the help you need to do it right! 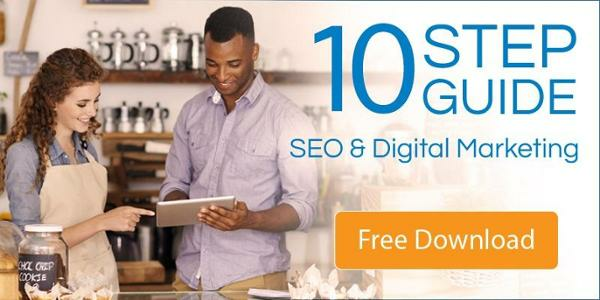 Download our 10 Step SEO & Digital Marketing Guide now.